The holiday season will be here before you know it. While some of us want to enjoy the fall season to the fullest and not even think about snow, holidays, and gifts, the best thing you can do is start preparing your finances early in a stress-free way. 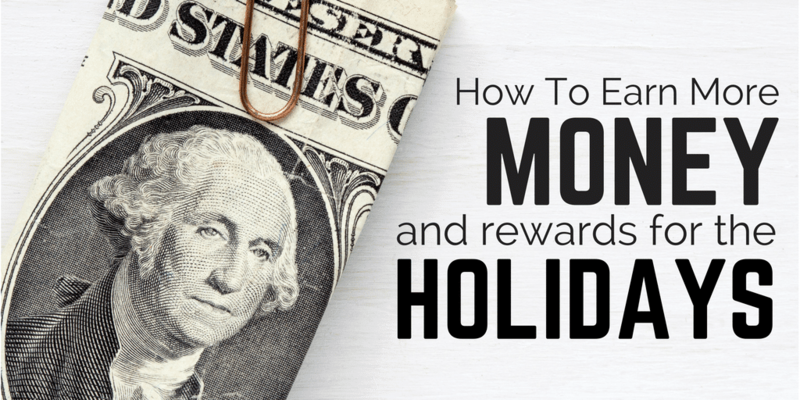 If you don’t have the time or availability to side hustle or get a second job to bring in extra income, you can always try some of these simple ways to earn rewards and gift cards that you can cash in around the holidays to ease the financial pressure. Swagbucks is one of the easiest ways to earn gift cards that you can use for purchases. Once you sign up, you can take surveys, watch videos, search online, sign up for offers and more so you’ll earn Swagbucks. Once you earn enough Swagbucks, you can cash them in for a gift card. Swagbucks has many different retailer gift cards along with restaurant gift cards to choose from. What I like about Swagbucks, is that it doesn’t take long to earn points. You can log on whenever you shop online for some easy points, try out and offer, or even spend less than 10 minutes per day taking surveys and watching videos in order to earn more points. When you earn 2500 Swagbucks, you can cash that in for a $25 gift card. My personal goal is to earn at least 2-3 gift cards before Christmas which is doable but it’s best to start now. Not a member with Swagucks? It's free, join here. Ebates is a rewards site similar to Swagbucks, but you earn more of your rewards through shopping online. You can shop online with your favorite retailers through Ebates and earn cash back depending on the offer. For example, shopping on Amazon with Ebates will get you up to 7% cash back currently and many stores offer double cash back which is great. Using Ebates is great if you don’t want to have to deal with having a cashback credit card and overspending with it. Ebates has a few promotions and extra rewards going on right now for people who share the platform with others. If you refer a friend to use Ebates, you’ll earn $10, but if you refer 3 friends, you’ll automatically earn $60. Also when you spend your first $25 through Ebates, you’ll receive a $10 Walmart gift card. 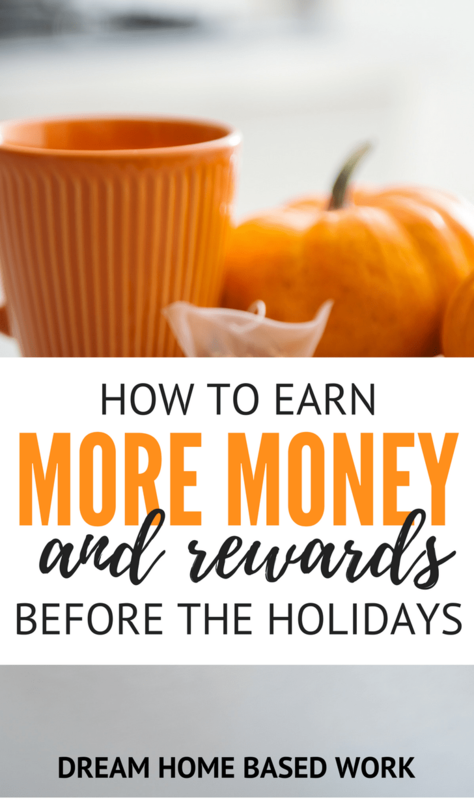 Ebates rewards are great for after the holidays as well because most of us get pretty drained financially. So if you shop online for most of your gifts through Ebates, you can receive a little cash back afterward. People want to know your opinion. Taking surveys is easy and requires little effort and time on your part. Two of the best survey companies include Vindale Research and Harris Poll. You can take surveys during your lunch break, before work, on weekends, or whenever it’s convenient for you. Most survey companies pay every 30 days by check or via Paypal. Vindale Research even claims they will send users an extra $5 if they send pictures when they receive their payment. It’s best to get started taking surveys now, so you can have the cash on hand when you need it for the holidays. While you don’t have to start thinking about the holidays super early, it doesn’t mean you can’t do little things to prepare. These threes options require low effort on your part and can put cash in your pocket by the end of the year if you start today. Have you ever used any of these websites to earn extra cash? What was your experience like?